School Spirit Stickers! Vinyl Cut Booster Decals! 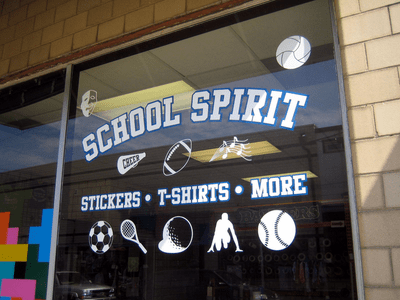 Order online from designs shown or contact us to make arrangements to use your schools logo or sports mascot or something that best suits your schools fund raising and spirit needs.